The little Frenchman is back; we’re not talking about Nicholas Sarkozy, but the adored, plucky Gaulish warrior Asterix. Tomas Mowlam reports on the re-opening of Paris’ Parc Asterix. Now the winter season is over Parc Asterix is re-opening and from the start of May, kids (and adults) can ride roller-coasters, log flumes and even a bobsled in an entire park dedicated to the little warrior. The books were written by René Goscinny and illustrated by Albert Uderzo, when Goscinny sadly died in 1977 Uderzo took over writing. 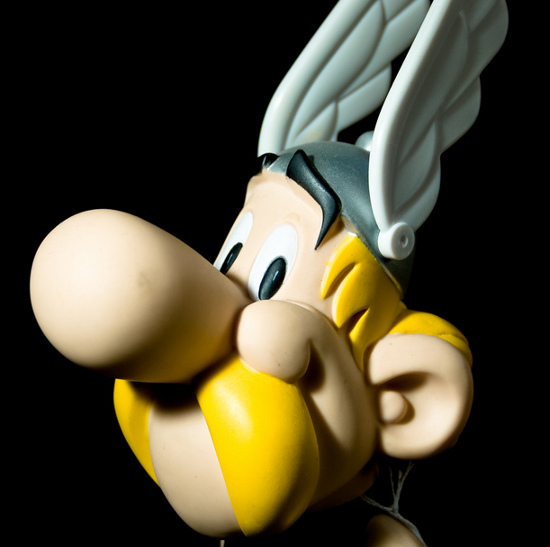 The tales of Asterix, with his iconic blonde moustache and winged helmet, outwitting the Roman legions, have captivated kids and adults since the series first appeared in French magazine Pilote in 1959. Since then over 325 million copies of the books have been sold. Asterix, always accompanied by his faithful dog Dogmatix and the strong but slow Obelix, has travelled across the world; he’s been in adventures in the Middle East and India, and the books themselves have been translated into more than 100 languages and dialects. The park is 30km north of Paris, and has its own direct exit; Parc Astérix between #7 and #8 on the A1. Alternatively there’s a direct shuttle that leaves from close to the Louvre. Check out www.parcasterix.fr/en/node/184 for more info about the park. With P&O Ferries you can get a crossing from Dover to Calais in a car with up to nine people starting from just £30 – it’s then just a short drive to Paris. If you thought that the Red Light District of Amsterdam was just a place for saucy behaviour, you would be wrong. Rosie Khdir reveals the city’s latest fashion hotspot. If were to take a stroll down an avenue in the Red Light District of Amsterdam, you maybe shocked at the sight you would see. By this I don’t mean the scantily-clad “girls of pleasure” it is normally famous for, I mean you would be shocked by all the Dutch couture now on display there. The Red Light district now attracts a new crowd, a group of design tourist who wish to see the works of famous Dutch labels in one the city’s most historic quarters. Turning Talent into Business is an initiative of Syntens, Dutch Fashion Foundation, Arnhem Fashion Biennale and HTNK; fashion recruitment & consultancy agency. It is a program that mentors young designers towards a profession entrepreneurship, through workshops covering production, marketing, financial and juridical management. RedLight Fashion Amsterdam has offered these young Dutch fashion talents the chance to exhibit their work. Recently, the City of Amsterdam decided to loan a part of the window area to the creative industries for a period of one year, and HTNK decided to use a selection of talented Dutch fashion designers, many of whom are enrolled in the Turning Talent into Business program. RedLight Fashion Amsterdam showcases fashion of all types from the high-end glitz of Bas Kosters to the more casual streatwear of Daryl van Wouw and also features Ignoor, Edwin Oudshoorn, G+N and Roswitha van Rijn. If you have seen the beautiful clothes and wish to make a purchase, all RedLight Fashion Amsterdam labels are sold at the CODE gallery store at the Oudezijds Achterburgwal 121 and at www.codegallerystore.com. If you wish to see these beautiful pieces for yourself, just remember that Amsterdam is just a short drive from the International port of Rotterdam which is serviced by P&O Ferries’ Hull – Rotterdam route. The winding blue waters of the Seine, sandy wave washed beaches, rolling farmlands and pretty provincial towns alive with the buzz of people; Normandy is an undeniably beautiful region of France. It’s a region which has captivated many artists, a fact that’s being celebrated this summer, writes Tomas Mowlam. Art writer Jacques-Sylvain Klein called Normandy “the cradle of Impressionism” and the region captured the hearts of three of the most famous Impressionists; Claude Monet, Camille Pisarro and Auguste Renoir. Monet painted a sunrise over Dieppe in 1872; calling it Impression – Sunrise he gave the name to the movement and started an art revolution. We are too used to sharks in formaldehyde to realise the dramatic effect that this new style of painting had, giving emotion and expression and a shake-up of the staid and formal world of painting. In 1883 Monet, his partner Alice Hoschede and their eight kids settled in the town of Giverny. He transformed the gardens into the world famous water-lily ponds of his paintings, and spent the next 43 years of his life painting the gardens and the Norman countryside. 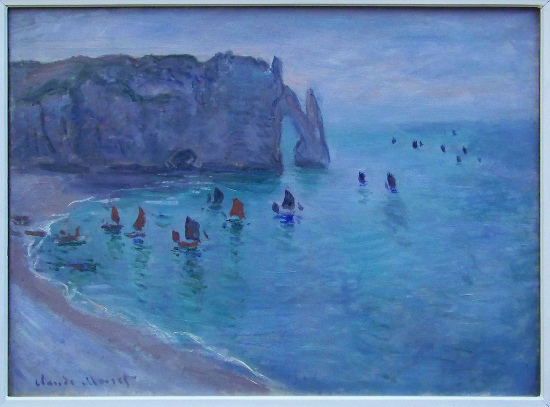 The Normandy Impressionist Festival officially opens on 5th June and over 50 local towns and districts have joined in making this a Normandy wide event. There are too many events to list all of them here, but one particular highlight is the huge program of exhibitions taking place in Rouen, including Une ville pour ’Impressionnisme: Monet, Pissarro, Gauguin à Rouen (“A City for Impressionism: Monet, Pissarro, Gauguin in Rouen”). With P&O Ferries you can get crossing from Dover to Calais in a car with up to nine people starting from just £30 – Impressionist country is only a short drive away. This Friday the whole of Amsterdam will turn orange, and by that I don’t mean every inhabitant will get an awful spray tan, I mean it will be Queen’s Day! Rosie Khdir discovers the traditions of this royal celebration. On April 30th 2010 the Dutch will celebrate Queen’s Day, a national holiday which has been taking place on this day since 1949. The history of this event goes back to 1885 when the Liberal Union intended it as a day of national unity for the Netherlands. This began with the celebration of the birthday of Princess Wilhelmina on 31 August 1885, and it was called Princess’ Day until her Coronation in 1890. In September 1948 Queen Juliana ascended to the throne and from 1949 onwards her birthday, 30th April, was known as Queen’s Day. When her daughter and current Queen, Beatrix succeeded her in 1980, she decided to keep the celebration in April, as a tribute to her mother – and because her own birthday is in January when weather tends to prohibit outdoor celebrations. Every year, since her Coronation, Queen Beatrix has visited cities and town around Holland, where she is shown regional versions of traditional Dutch dances and demonstrations of old crafts. This year she will be visiting Wemeldinge and Middleburg. 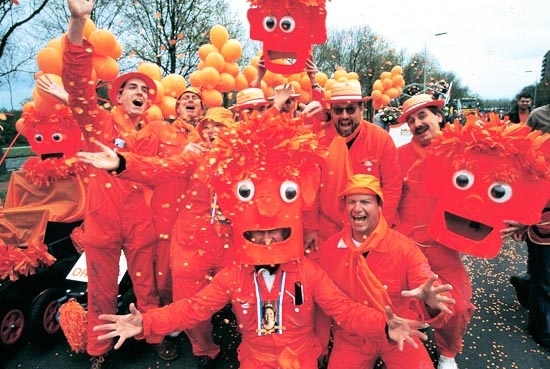 All over the country millions of people will celebrate in the streets adorned in clothes and costumes of orange in honour of the Dutch royal family, the House of Orange. It’s not just the clothes, it’s the food, the drink and the decorations, it’s like the whole of Holland has been tangoed! Traditional flea markets line the city streets and boats filled with orange people fill the canals. In recent years it has become more of an open-air celebration and outdoor concerts are not uncommon. Amsterdam is always one of the busiest places during this holiday and can attract up to 800,000 visitors who party in the public squares and in bars. If you would like to celebrate with the Dutch this weekend, don’t forget that Amsterdam is just a short drive from the International port of Rotterdam which is serviced by P&O Ferries’ Hull – Rotterdam route. Holidays almost always end up costing a lot more than you planned, whether it’s thanks to you “souvenir” shopping or because of attraction entrance fees you didn’t account for. This blog is designed to help you see the very best of Paris on a shoe string, and you wouldn’t believe how much is gratis! The Notre Dame Cathedral, home of fictional character hunch-back Quasimodo and one of the most famous Parisian sights is completely free to enter. You will have to pay to go up the towers or visit the treasury, but not to wander around and admire the breathtaking gothic architecture. Although visitors to the Versailles Palace will have to shell out, it’s free to walk the extensive gardens – except on Sunday’s when there is a musical fountain show. Every Friday the most popular department store in Paris, Les Galeries Lafayette, puts on a free fashion show on the seventh floor, so you can enjoy and show in-between your shopping. As for free museums, you can visit the Fragonard Perfume Museum and even get a free guided tour, the Musée Curie dedicated to the Nobel prize winner and the Musée Carnavalet a charming Paris history museum housed in old Parisian mansions. On the first Sunday of very month visitors can enjoy free entry to the famous Louvre Museum, Musee d’Orsay, Centre Pompidou, Musée Rodin and Musée National du Moyen Âge. Don’t forget that the best things in life are free, the simple things like standing in front of the Eiffel Tower and walking along the Seine. But if you want great views of Paris without paying tourist prices and waiting ages in a long line at the Eiffel tower, why not go and climb the step of the Sacre Coeur. 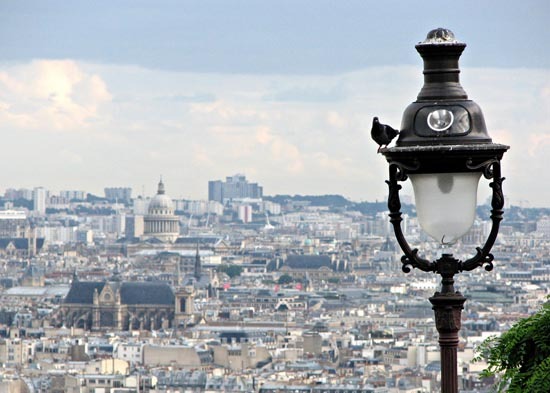 The views of Paris from the top of Montmartre are amazing, and absolutely free! These wonderful and free attractions are only a few hours away, and with P&O Ferries you can get crossing from Dover to Calais in a car with up to nine people starting from just £30. Time for a P&O holiday? We Brits are renowned for our fondness for a good pint and where better to experience said pint than in Southern Belgium, a region famous for its exquisite array of beers. Rosie Khdir explores one of the most popular Walloon beers. Drinking beer in the Walloon region isn’t just about relaxing after a hard day or getting sloshed with your mates, its brewing customs are steeped in history and are still greatly valued today. In the southern Walloon region of Belgian where you can still see the hop crop growing wild, is where you find some of the finest beers in the country. There are many breweries scattered around the region but perhaps one of the most famous, internationally, is the Abbey of Leffe near the town of Dinant. The Notre-Dame Abbey as it was known when it was founded back in 1152, like many in the region, has brewed its own ale; later in 1200 it was renamed Leffe Abbey. Back then, brewing beer wasn’t a matter of plying the masses with a boozy delight it was actually brewed by monasteries for sanitary reasons. Deadly diseases like Typhoid were spread through contaminated water, and as people didn’t have the tools to test the water, the sterilisation process used in brewing beers was the best way to prevent contamination. This Abbey has experienced a fair few knocks in its time including a bout of the plague, which killed the Abbot and seven monks back in 1460 and a flood which virtually destroyed the building. In 1466 Charles the Bold took hold of the city of Dinant after a rumour was spread there about his mother. His forces ransacked the Leffe Abbey and burnt it to the ground. It has been ravaged by Hungarians and in 1796 was ordered to become state property during the French revolution. After many years of troubles, the Leffe Abbey still stands in Dinant. In 1937 it became a listed historical building. To this day it still makes those famous and delicious Blonde, Brown and Triple beers. Visitors can take guided tours of the Abbey and uncover more about its past, discover the tradition of brewing and the pouring ritual of Leffe. For more details visit Abbaye-de-leffe.be. 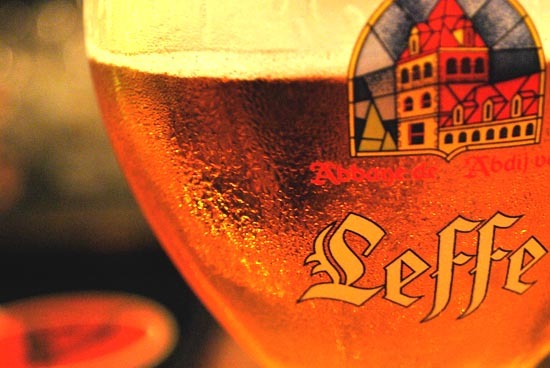 If you want to experience the taste of a finely brewed Leffe in its home environment, you can get there easily with P&O Ferries using the Hull – Zeebrugge route, or alternatively via Dover to Calais from where it is just a short drive along the E40 to the Belgian border. Prices start at just £30 for a car and up to nine people. Just across the Channel in the Belgian capital of Brussels, lies an exhibition that looks at the Symbolism in Belgium, a poetic and sometimes darker form of visual art. Rosie Khdir explores the origins of the 19th century movement. From the end of March until 27th June 2010, the Royal Museum of Fine Arts in Brussels is holding an exhibition called Symbolism in Belgium. The exhibition includes over two hundred pieces and is based around original research done by its curator, Michel Draguet. The 2005 essay by Draguet, entitled ‘Le Symbolisme en Belgique’ explores the developments of the symbolist movement and how is contributed to the creation of the surrealist movement in Belgium. Visitors can wander through the galleries of paintings and sketches by the likes of Rops, Spilliaert, Delville and Minne and discover the rich panorama of artistic creation at the turn of the century. You can discover the relationships between the movement and its influences such as the art of the Pre-Raphaelites, decorative arts and Art Nouveau, which Brussels has since become the capital of. Symbolic art work takes on many forms from portrait and landscape, to religion and dreams and emphasis in this particular exhibition is placed upon the movement’s relationship with literature. 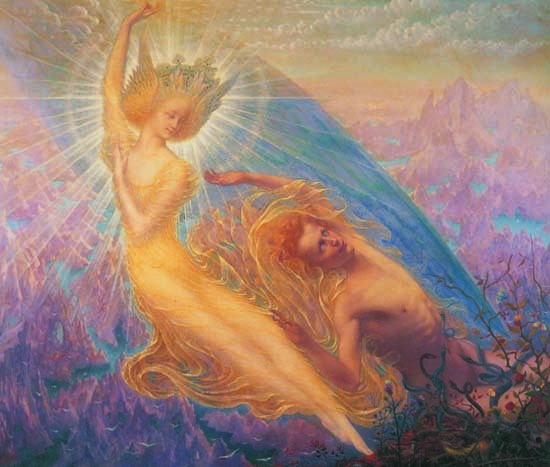 Some particularly stunning artworks to look out for are Jean Delville’s The Angel of Splendours 1984 (pictured above), and The Tour of Hours or The Hours, 1890 by Xavier Mellery. If you want to explore the symbolic art of Belgium, you can get there easily with P&O Ferries using the Hull – Zeebrugge route, or alternatively via Dover to Calais from where it is just a short drive along the E40 to the Belgian border. Prices start at just £30 for a car and up to nine people.